There's one thing I like about adventure games other than the characters and that is a damn good story that really pulls you in like a deep involving book. 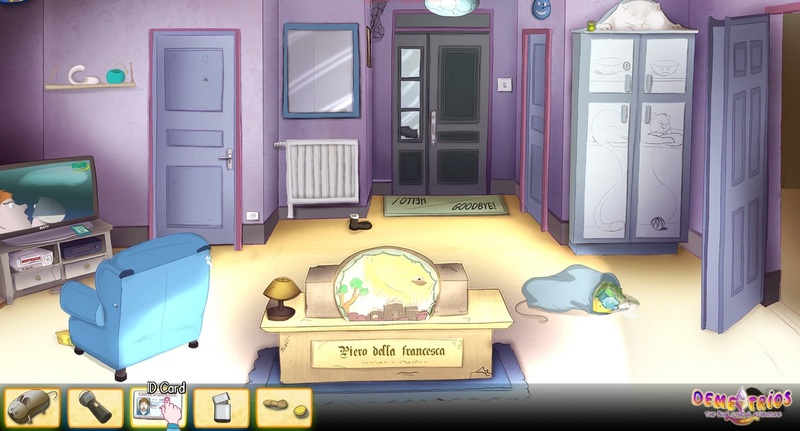 So when the developers CowCat Games sent us word about their new in development point and click adventure title of 'Demetrios - The Big Cynical Adventure', that has it's inspirations of Broken Sword, with a pinch of Discworld and Gabriel Knight, we just had to see for ourselves. 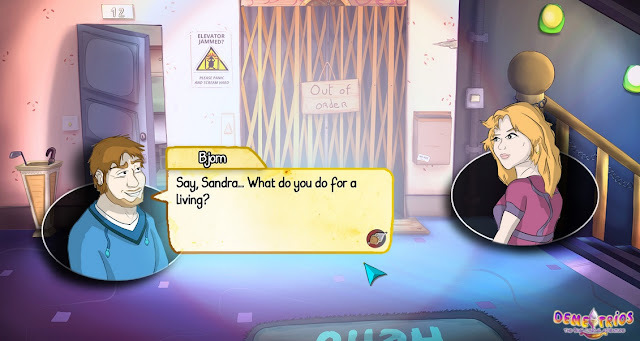 In Demetrios you play as Bjorn Thonen, an antique seller after a night of binging out on the town and being robbed at home, must push his own investigation with the help of Sandra, his next-door neighbour to find out exactly what had happened. Little did he know however that these two characters will end up in a mysterious story of ancient secrets! 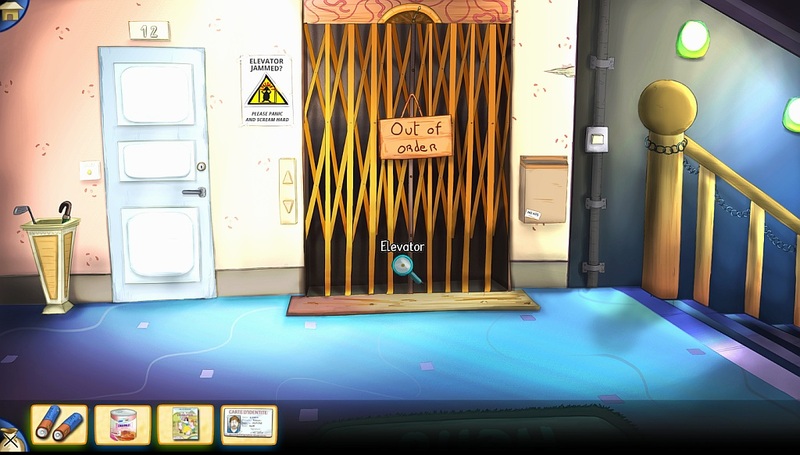 From our short play through of Demetrios we were most impressed indeed and to be honest it took us completely by surprise. Right from the word go with it's charming tune, the intro story really sets the scene to the game that you are in for a treat. A treat that, unlike most games, does not feature the tedious walking around of a character but a completely first person view, with a simple point and click interface and interesting situations and puzzles that is so easy to pick up and play. Furthermore, the detail isn't of high end 3D graphics but Full HD, hand-painted visuals and animated characters that certainly have their own personalities. As such I for one had a ton of fun playing Demetrios - The Big Cynical Adventure from CowCat Games, I especially liked the added touch of death, whereby if you do stupid deadly things, you are very much going to die ( Kings Quest anyone? ). For example, sticking your finger in a plug socket is highly likely to give you more than just a small electric shock. So to end this on a grand note, I cannot wait till the full version is out in early 2016, which will be available on PC, MAC and Linux. 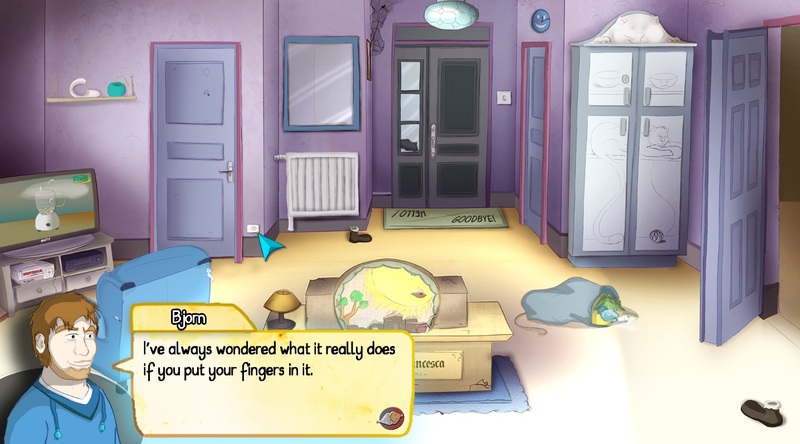 For those of you who prefer different ways of purchasing, Demetrios - The Big Cynical Adventure it will be available to buy DRM-Free on the main website, Desura, GOG and Steam (if accepted).